The activity consisted of researching ancient weapons like a battering ram to help grasp why the earthen ramp at Masada collapsed under their weight. 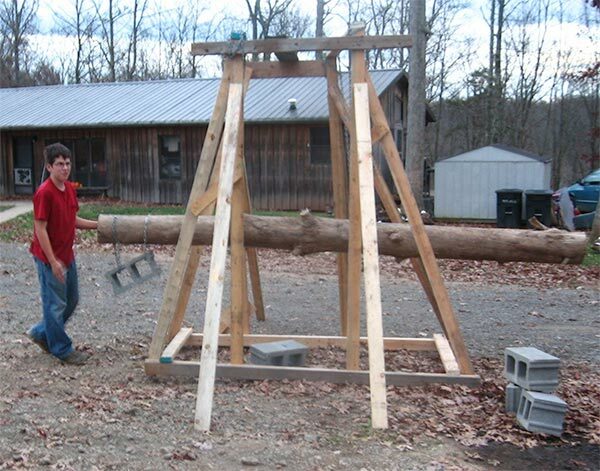 This family decided to build a full size construction of a battering ram! Impressive!